There are 5 reviews of Original Penguin Reserve. 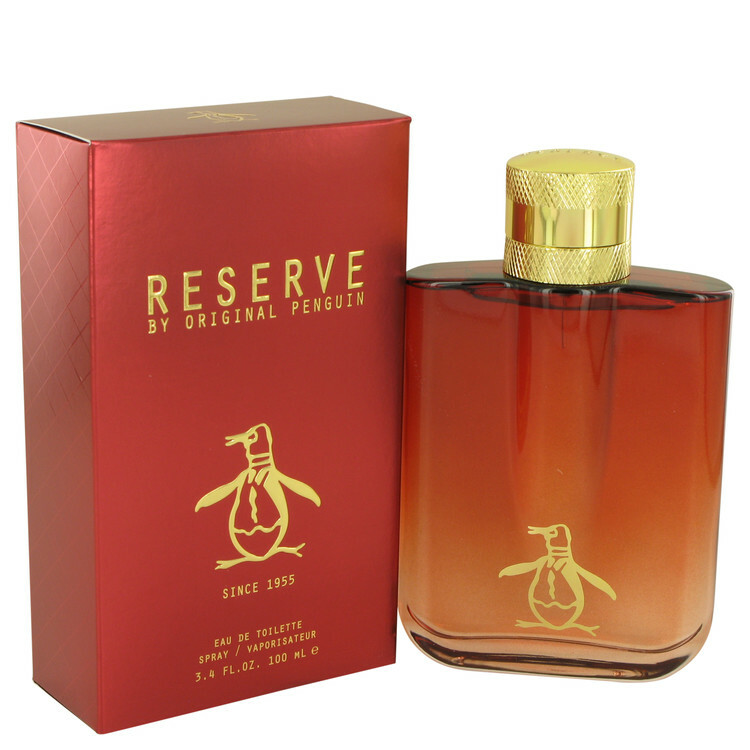 Pleasant scent, this Original Penguin Reserve. And I like the red bottle, too! OPR is a spicy, fresh, citrus woody scent with many fancy notes in it: "Amaro siciliano bitters accord" and "sea moss" catch the eye, as do "Italian mandarin" orange. There is a remote resemblance to the legendary Fahrenheit by Christian Dior, with a sort of petrol-like quality. Otherwise, OPR is a great casual wear scent that would need a refresher-spritz mid-day, as it doesn't last long. As a fan of men's vintage fashion of the 50s and 60s, I was glad to see Perry Ellis revive the Penguin logo several years ago. Alas, the same vigor doesn't apply to the fragrance line. This is utterly generic, lifeless stuff - yet another watery, faux-woody brew with some sweetness added in without any imagination. If you find Kenny G too esoteric in the jazz scene, or recoil from the overly hard-charging sounds of Air Supply, this stuff has your name all over it. Nice citrus notes to start off with, but tree is a very boring wood, amber and moss - or a miss - drydown that is very dull on my skin. Gone after two hours. Wow...this is one of the worst fragrances I've ever tested. Chemically synthetic blob of a mess that has zero redeeming values. Hard to believe that anyone with a nose could make something like this and assume that people would put it on their bodies and like it being there. All of Original Penguin's fragrances are a bit odd and they're all chemically synthetic plastic type smell, but this one takes the cake. Whatever type of blending or ingredients they use it would be much better in something like a glass spray or a cleaning product. Whoever makes this line needs to go out of business and never come back. Pros: Like the color of the bottle. This is a surprising fragrance that has an initial attack similar to cedar (but cedar is not listed in the notes). In the dry-down, It quickly changes to a slightly-powdery, sweet fragrance that is pleasant, but close to the skin. The sillage was fairly low and the longevity is about 4 hours on my skin. The lingering notes produce a fresh soap and musk scent that lasts to the end. This would be good for office, church or dating, but would do unnoticed in a club environment. Reserve by Original Penguin. Men's Eau de Toilette. 3.4 fl.oz./ 100 ml.New. There are no member images of Original Penguin Reserve yet. Why not be the first?